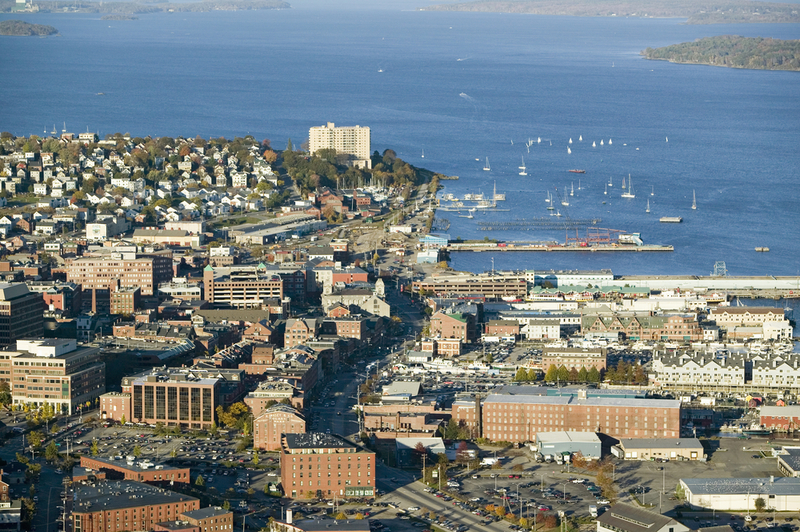 Portland is the largest city in the state of Maine, and it is growing every day. Over the past twelve months it has seen a surge in population, which has had a direct impact on the local real estate market. Over 60 percent of Portland’s residents currently rent. With increased rental demand and rising prices, some renters have spilled over into the buyer pool. The real estate recovery has been slow, but with a growing economy and a demand for housing, the Portland housing market is poised to take off in the coming months. The current median home price in the Portland market sits at $217,300. This number is higher than the national average of $203,867. Current home prices represent a 3 percent increase over the last 12 months. Over the past three years,on the other hand, the Portland market is up almost 10 percent. Like most cities, the Portland housing market was impacted by the collapse, but has shown strong signs of recovery. Slow growth is to be expected, considering how low the market was. Between increased average sales prices and rising equity gains, there are plenty of positive signs for Portland and its surrounding markets. Homes purchased in the Portland housing market one year ago have appreciated by an average of $9,489, whereas the national average was $15,753 over the same period. Homes purchased in the Portland housing market three years ago have appreciated by an average of $29,439, whereas the national average was $53,565 over the same period. Homes purchased in the Portland housing market five years ago have appreciated by an average of $32,278, whereas the national average was $47,444 over the same period. Homes purchased in the Portland housing market seven years ago have appreciated by an average of $6,042, whereas the national average was $17,200 over the same period. Homes purchased in the Portland housing market nine years ago have appreciated by an average of $4,900, whereas the national average decreased $100 over the same period. Portland housing market appreciation is below the national average, but it did not have as far to recover. The bottom did not fall out of the Portland real estate market as it did with most other markets nationally. If slow, sustained growth is the key to real market recovery, the Portland market is a shining example. One of the main reasons for optimism is in the strength of the local economy. The unemployment rate in Portland is 4.4 percent, verses a national average of 5.5 percent. This local number is down a whopping 1 percent from a rate of 5.4 percent just a year ago. What this tells us is that the Portland economy is strong and has improved greatly in the last year. This is reflected in the increase in population and demand for housing. People often go to where the jobs are. While unemployment is down, job growth is a cause of concern. The twelve month average is less than the national number of 2.1 percent. This may be just a temporary blip on the radar, but it could be something that bears watching. The increase in population is most likely a reflection of a strong economy. The state economic index for Maine shows growth of 4.8 percent over the previous twelve months. This number dwarfs the national overage of 3.5 percent. Over the past 36 months, Maine has outperformed national numbers by just under 1 percent. Portland has led the charge for the state in terms of economic activity and growth. One of the byproducts of this is the increase in new construction. Over 1,200 new housing permits have been requested in the last twelve months. This number is up over 4 percent from the same time last year. Construction is on the rise, as to keep up with the demand. Most of this demand is coming from renters, but increased supply may pull home prices down slightly in the coming months. Foreclosures are still a problem for many areas of the country. The Portland market appears to have stabilized and turned the corner. There are only 67 properties that are in some stage of foreclosure in the Portland housing market, according to RealtyTrac. This represents a decline of 85 percent from the same time last year. Of the distressed properties on the market, Portland real estate investing should take note of pre-foreclosures, as they make up 66.7 percent of all the area’s foreclosures. Auctions make up the rest at 33.3 percent. With a strengthening economy and growing housing demand, the numbers of foreclosures in the Portland housing market are declining every day. However, that doesn’t mean there aren’t opportunities for Portland real estate investing. Most neighborhoods in the Portland market have seen an increase in average sales price over the past twelve months. The Stroudwater area led the way with an average increase of over 30 percent in a matter of one week. Some other big movers included East End and Libbytown, with 8.5 and 6 percent increases respectively. Other active markets were West End, East End, Riverton and Rosemont, which all showed slight sales price gains. The Portland housing market has recovered exceptionally well over the better part of this decade. With a growing economy, strong employment numbers, increased population and growing housing demand, the worst appears to be over. How quickly the area converts the high renter pool into buyers will tell a lot about the housing market. Foreclosures appear to be controlled and new homes are scheduled to hit the market. The main cause for concern appears to be a lack of job growth and an abundance of rental properties. Portland real estate should soon reach a point that renting exceeds the cost and limits the benefits of owning a home. When that happens, the Portland housing market should take off.